Famous the world over for their aqua marine seas and pristine beaches, each island has a unique character and charm that provides the perfect backdrop to the excitement and carnival atmosphere of world class cricket. Antigua & Barbados are perennial favourites with their white sandy beaches, buzzing beach bars and friendly, cricket mad locals. 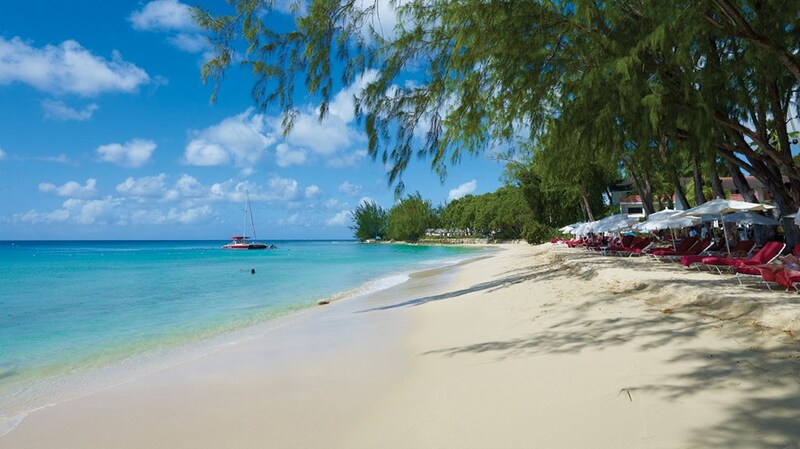 Barbados is stylish and sophisticated with all the coral sand beaches you could ever want to see, while Antigua boasts 365 beaches, 'one for each day of the year.' While the count may be suspect, you won't have a problem getting sand in your shoes or finding reefs and wrecks for diving and snorkelling. 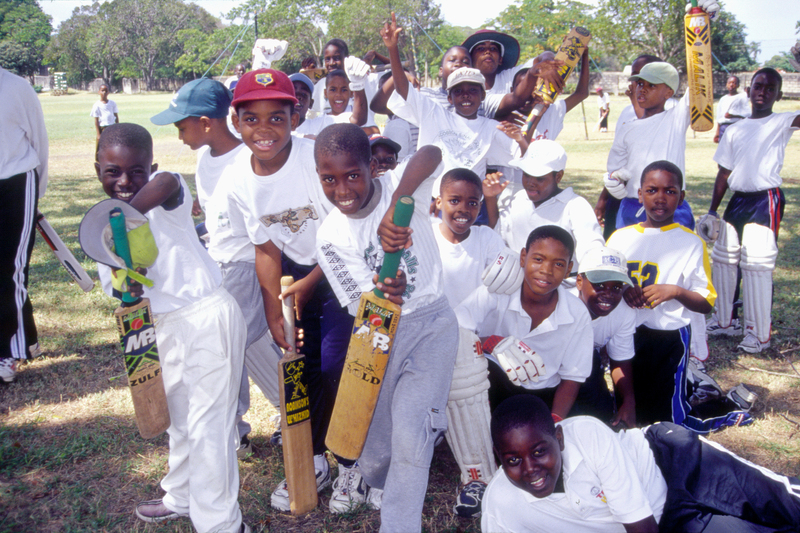 The carnival atmosphere during the cricket is electric with every boundary, every wicket, every ball greeted by a blast of reggae music and dancing – traditional village cricket this certainly isn’t! * Prices are subject to change due to flight and/or hotel availability at the time of booking. Hotel Combinations > any combination of hotel and room type is possible. Arrive Barbados, complete customs and immigration formalities, then proceed to the arrivals hall where you will be met and transferred to your chosen hotel. Time to settle in and acclimatise to your new surroundings. Tonight you will meet your host and fellow travellers for drinks in the Lobby Bar at Turtle Beach Resort. Relax and enjoy the excellent facilities at your hotel. If you like exploring, there are many sights and attractions to tempt you away from the beach. Highlights include Harrison's Caves, the Atlantic coastine at Bathsheba, the wildlife reserve, flower florest and the capital of Bridgetown. Our local agent will assist you with any optional excursions you would like to book. It's time to pack your bags and meet in the hotel lobby for your transfer to Barbados Airport. Today you fly to Antigua, where on arrival you will complete customs and immigration formalities, then proceed to the arrivals hall where you will be met and transferred to your hotel. Tonight will include informal drinks with your host and fellow travellers at St James's Club. Enjoy a relaxing day as you familiarise yourself to your new surroundings. Away from the beach there is plenty to see and do, with historic forts, charming colonial towns and the weekly steel band concert at Shirley Heights, complete with the island’s biggest barbecue. During the afternoon we will head to Nelson's Dockyard for a brief guided tour, followed by Sundowners at our ‘Welcome Drinks Reception’ at Admirals Inn. Everyone will be returned to their hotels in time for dinner. The Test series continues today. Today we have arranged a memorable day aboard a sailing catamaran as you experience an Antigua that you simply can't appreciate from land. 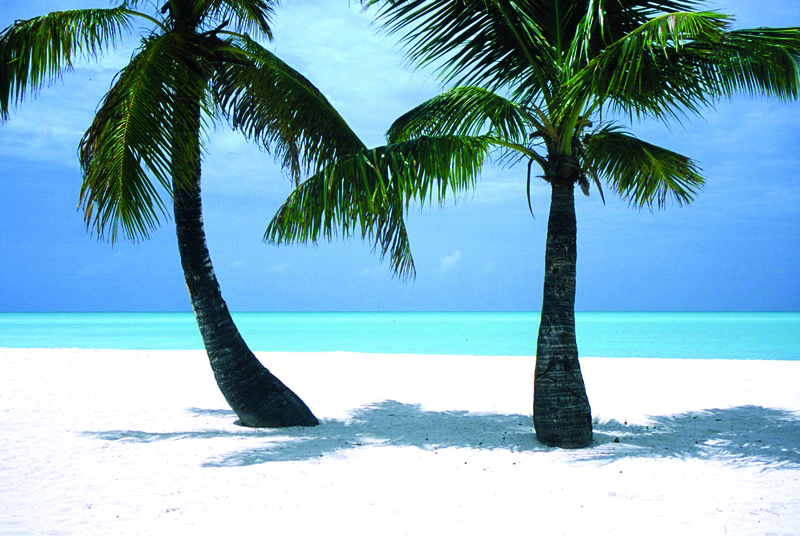 You'll see many of Antigua's 365 beaches, some of the smaller islands where you'll have the opportunity to swim and snorkel in crystal clear waters and enjoy a scrumptious barbeque lunch with open bar. A true day in paradise, hosted by Bob & Cathy Taylor. Time to reflect on England's performance in the second Test as you enjoy some r&r soaking up the warm Caribbean sunshine. Sadly your holiday is drawing to a close. 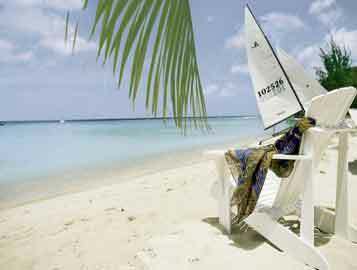 Enjoy a final day on your favourite sun lounger before it's time to pack your bags and complete check-out formalities. Transfer to the airport in plenty of time for your overnight flight to Gatwick. 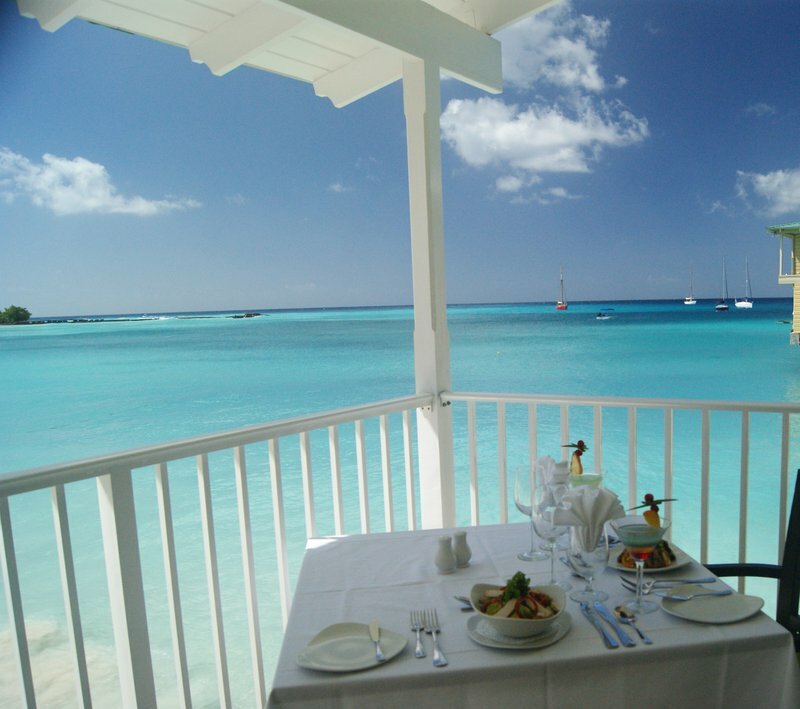 Meals other than stated, travel insurance, local room tax charge in Barbados ($10 per night) which is payable on check out, pre-seating charges applied by airlines, items of a personal nature. 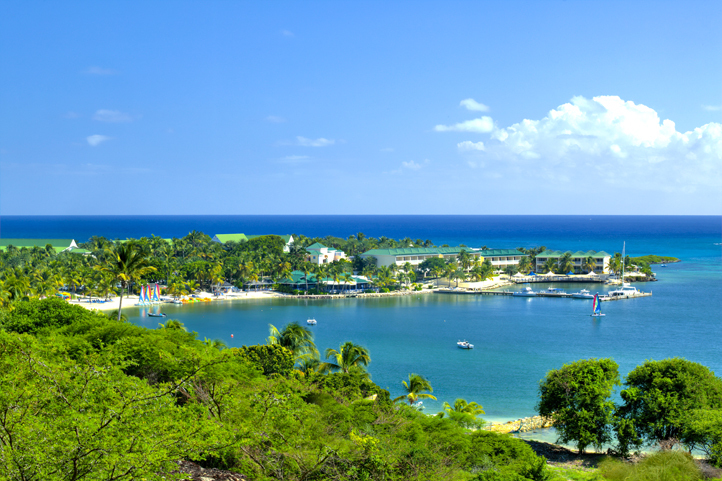 Located at Needham’s Point on beautiful Carlisle Bay, the newly refurbished Aquatica Beach Resort is just 8km from the international airport and just 1km from the bustling shops and nightlife of Bridgetown. Take advantage of the hotel's great location fronting two miles of white-sand beach and snorkel, paddle board or even swim with sea turtles. You can lounge by the pool, keep fit with a friendly game of volleyball or tennis, take a stroll along the stunning beach or head indoors to the well-equipped fitness centre and Spa. 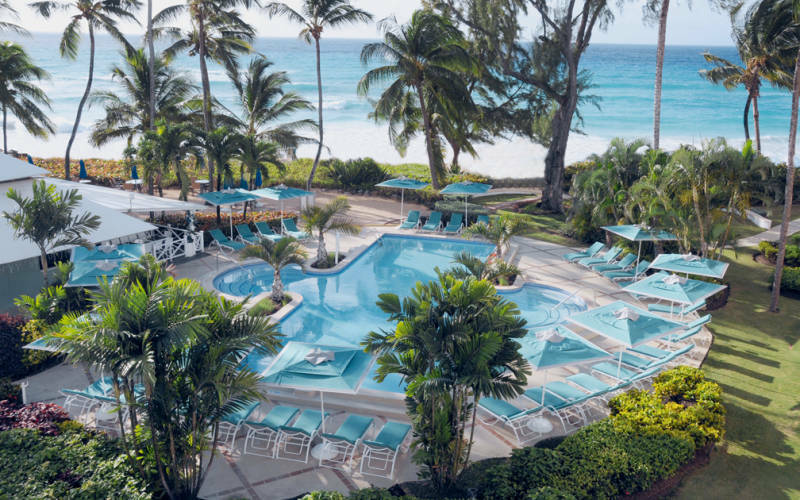 This resort boasts 124 generously appointed guest rooms and suites with stunning ocean or island views, plus an impressive assortment of on-site amenities like complimentary WiFi access throughout the property, an on-site Spa and outdoor swimming pool. All rooms are equipped with a 42in flat-screen cable TV, balcony, mini fridge, safe, chair and ottoman, work desk with chair, free wireless internet and coffee maker, as well as an MP3 alarm clock radio, iron and board, air conditioning and a private bathroom with shower and hairdryer. The Aquatic Club Restaurant is open for breakfast, lunch and dinner daily, with a speciality snack menu all year-round. Enjoy local and international specialities, whether you are enjoying the breakfast buffet, table d'hote or a la carte menu or Sunday Bajan Buffet. 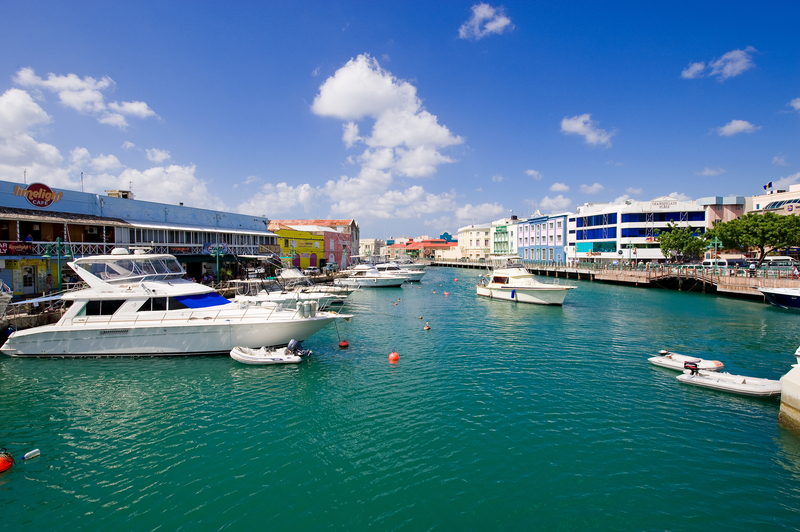 For a little more variety, the many restaurants of Bridgetown are just minutes away. 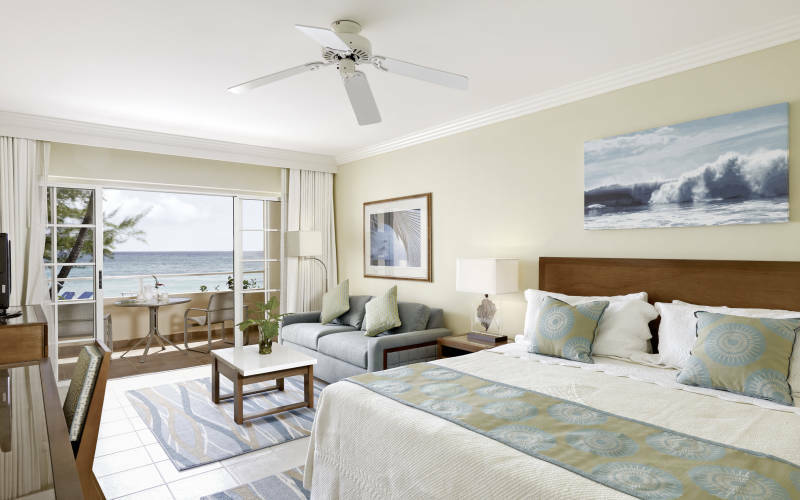 Set on a stunning beach, this all-inclusive all-suite resort offers excellent facilities that allow you to be as active or laid back as you like. 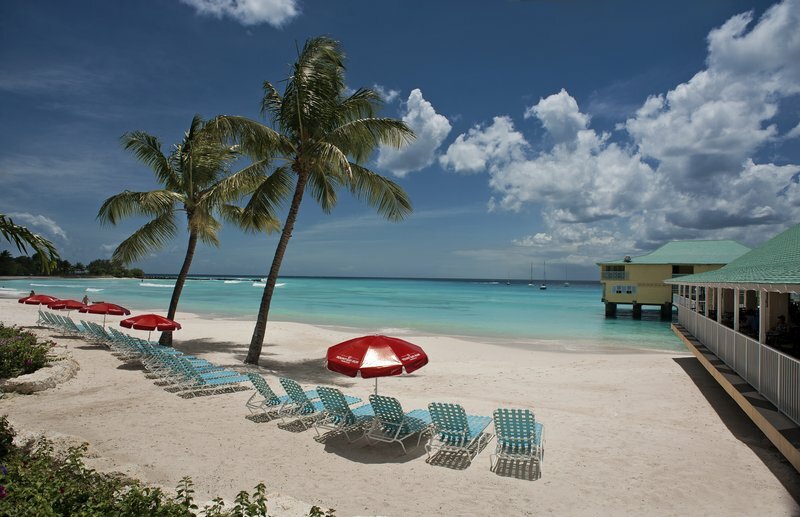 Turtle Beach by Elegant Hotels is located on Dover Beach, on the south coast of Barbados. A variety of shops, bars and restaurants are within walking distance at St Lawrence Gap, while the airport is 15 minutes and Bridgetown about 20 minutes away. Choose from three restaurants offering à la carte menus with tempting selections including refreshing smoothies and smoked salmon at breakfast and a deli serving all-day snacks such as paninis, wraps, burgers and pizzas. Enjoy sea views and elegantly informal dinners at the Waterfront Restaurant, which offers delicious dishes such as coconut-crusted mahi-mahi, or dress up for dinner at the excellent Italian restaurant. 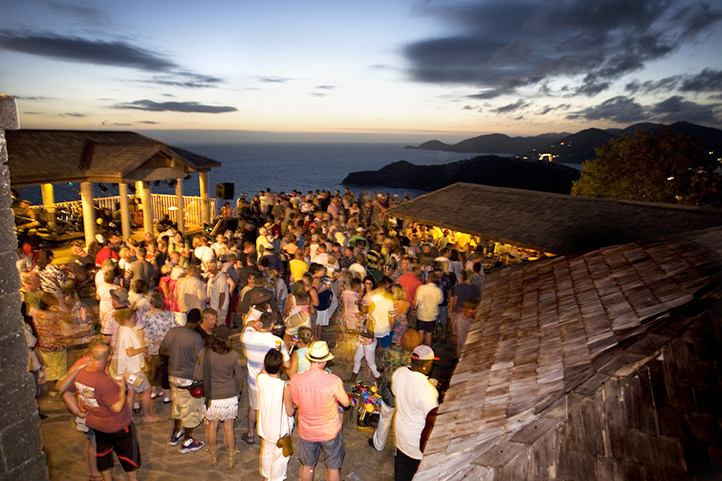 Enjoy authentic Bajan experiences and regular evening entertainment that ranges from singers to limbo dancing. The spacious and modern suites each offer a sofa bed and are suitable for families of four. 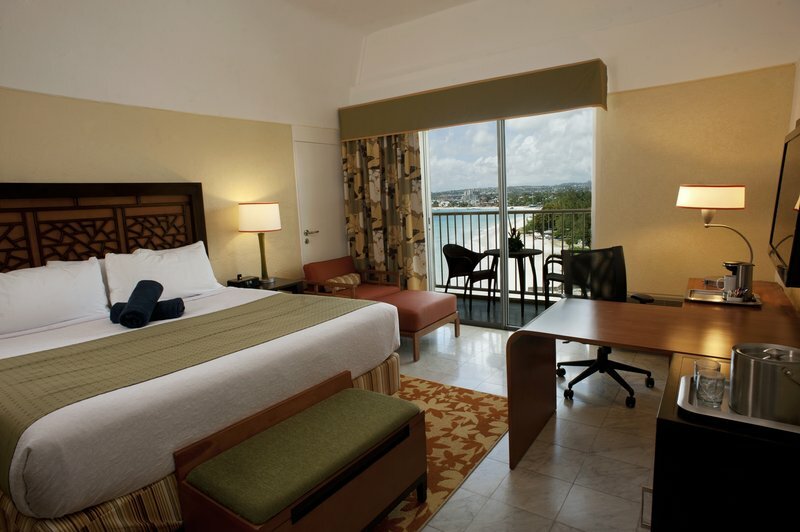 Pool/Gardenview Junior Suites are newly designed and Deluxe Oceanview Junior Suites offer incredible sea views. 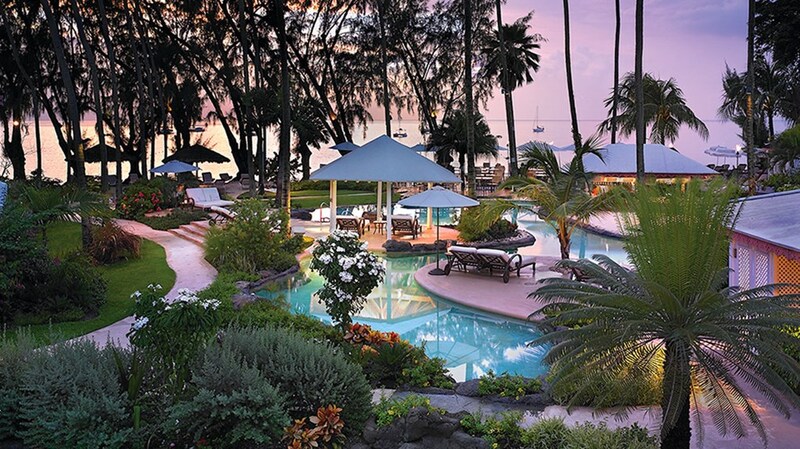 Tucked away in tropical gardens, this iconic hotel offers a little haven of peace and tranquility. Founded as a private club in the 1940s, this award-winning colonial hotel maintains an air of exclusivity and you may even spot a celebrity or two. 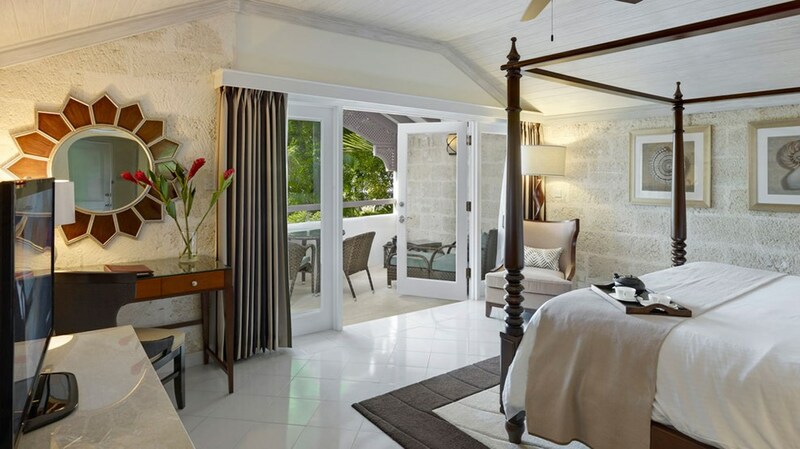 Built of coral stone with a plantation home style, this tranquil resort oozes Bajan charm. With a great selection of free motorised and non-motorised watersports and a varied activity schedule you can do as much or little as you please. Enjoy a yoga class, join a stand-up paddle-boarding tour to spot sea turtles, enjoy a game of tennis or master the art of doing nothing as you lounge by one of the four lagoon pools that meander through magnificent palm-filled gardens sprinkled with waterfalls. Help yourself to sun cream and refreshing lemon water from the pool hut before sinking into one of the sunloungers that are dotted around the gardens. Begin your evening with pre-dinner cocktails at the beautiful and airy Plantation Lounge. 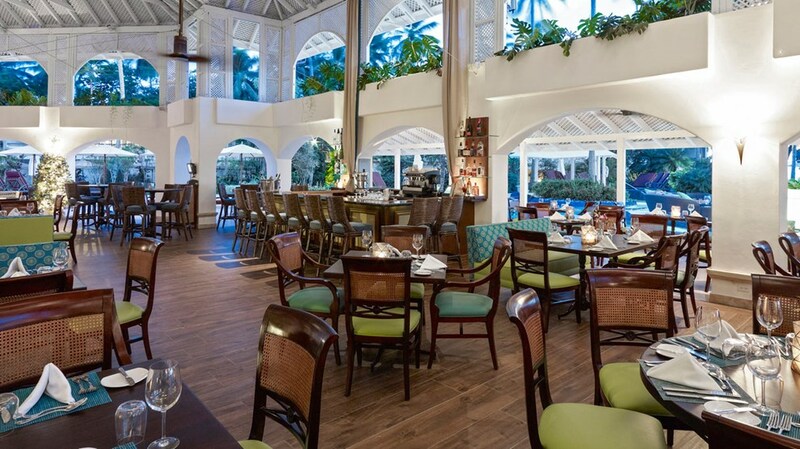 Feast on international dishes with a Bajan twist at the Laguna restaurant which serves healthy dishes seasoned with herbs from the hotel's organic garden and offers gluten-free, dairy-free and vegetarian options. Enjoy happy hour and stunning sunsets at the stylish Sunset Bar & Deck which offers themed dining events such as the superb Lobster and Jazz night. Each of the rooms offer a peaceful retreat and many have been recently refurbished. Pool Garden rooms are elegant with views over the tropical gardens or the pool with air-conditioning, flat-screen television, iPod docking station, minibar, espresso machine, bath and shower, yoga mat, balcony or terrace and free Wi-Fi. 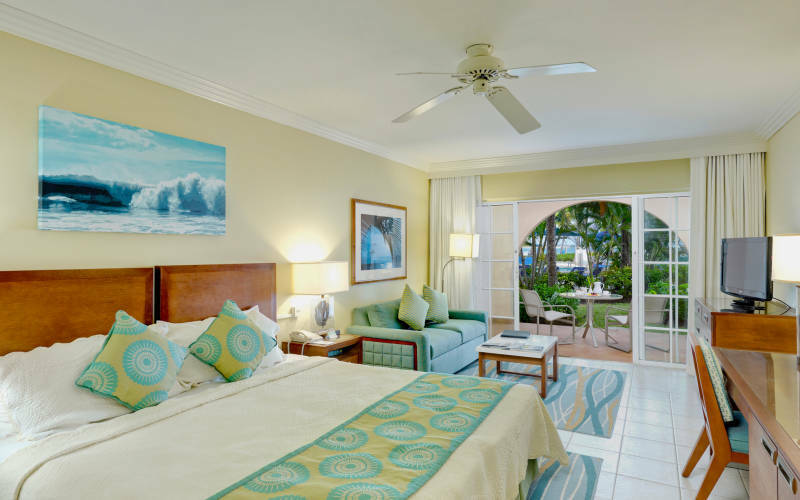 Luxury poolside rooms overlook the pool while Oceanview rooms offer views across the resort to the Caribbean Sea. Tucked away on a secluded 100-acre private peninsula, this popular tropical hideaway sits in spacious tropical gardens, sprinkled with fine facilities and hemmed in by two white sandy beaches. 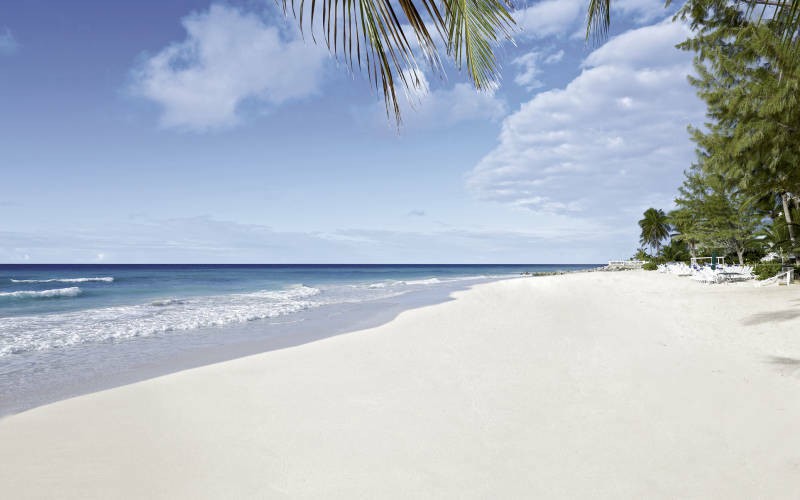 Choose between the calm waters of secluded Mamora Bay or the lively Atlantic waters off Coco’s Beach. Choose from four restaurants offering al fresco and candelit dinners with à la carte and buffet options. There are six bars to suit your mood or you can grab a drink from the beach buggy bar that roams both beaches. Chill out by the mian pool or at the adults only three-tier Tranquility Pool. There is a fitness centre, exercise classes, tennis courts, beach and water volleyball and non-motorised watersports including windsurfing, sailing, snorkelling and kayaking. All rooms are air-conditioned with television, ceiling fan, bath and/or shower and balcony. Club Rooms have one kingsize or two double beds, Premium Rooms are slightly larger with partial ocean view, Beachfront Rooms overlook Coco's Beach and the Atlantic Ocean and spacious Royal Suites offering more contemporary furnishings with a sunken living room, kingsize bed, wonderful bay views and additional bebefits that include a executive lounge, dedicated concierge service with private check-in and exclsuive swimming pool. • All meals (with US$40 per person supplement payable at Piccolo Mondo), afternoon tea and all alcoholic and soft drinks by the glass. Premium Room: £239 per person sharing a twin/double / Single Traveller £400. Carlisle Bay Resort is located on the southern shore of the Caribbean island of Antigua. Situated overlooking white sand and tranquil turquoise waters Carlisle Bay is a small piece of paradise, offering contemporary style without losing sight of the natural beauty. 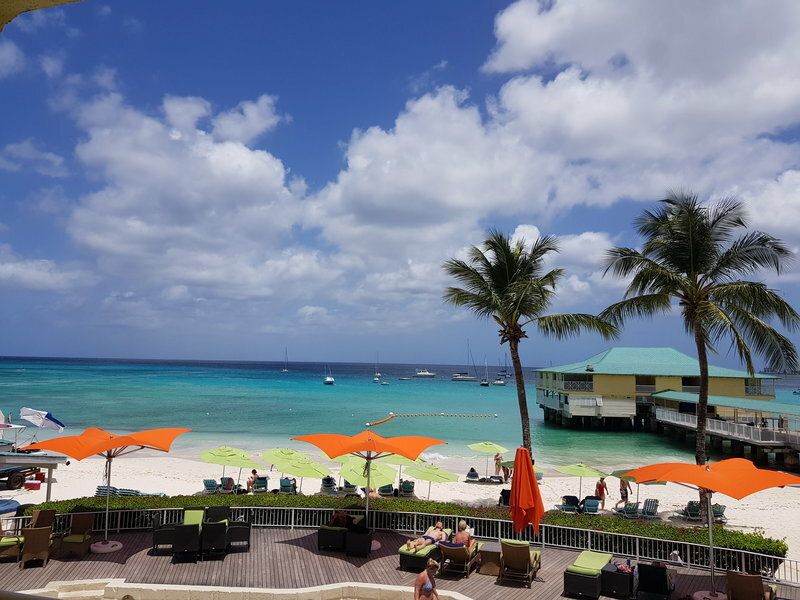 You will find a diverse range of restaurants and bars at Carlisle Bay Resort, many opening onto the beach, using a wonderful blend of West Indian and Western cuisine. Hospitality, activity and leisure with a laid-back, unfussy atmosphere you will immediately fall in love with. Tropical landscaping surrounds the pool and the tranquil gardens offer inviting hammocks. The exquisite and spacious suites are newly refurbished– a perfectly indulgent space to retreat to after a day spent soaking up the sun. They are set in blocks in the gardens or on the beach and offer daily fresh fruit and bottled water along with a conch shell to put outside your door if you wish to remain undisturbed. 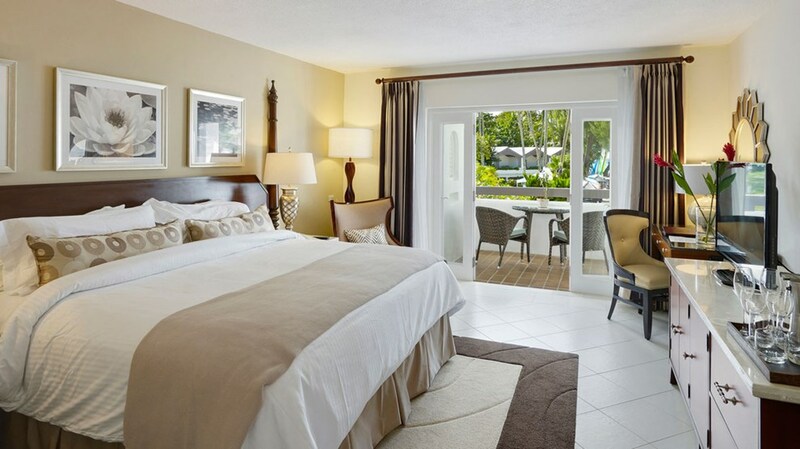 Garden Suites and Ocean Suites are split-level with the latter set at the quiet end of the beach. Arrive Barbados, complete customs and immigration formalities, then proceed to the arrivals hall where you will be met and transferred to your chosen hotel. Time to settle in and acclimatise to your new surroundings. Make your own way to and from the stadium. It's time to pack your bags and meet in the hotel lobby for your transfer to Barbados Airport. Today you fly to Antigua, where on arrival you will complete customs and immigration formalities, then proceed to the arrivals hall where you will be met and transferred to your hotel. Enjoy a relaxing day as you familiarise yourself to your new surroundings. Away from the beach there is plenty to see and do, with historic forts, charming colonial towns and the weekly steel band concert at Shirley Heights, complete with the island’s biggest barbecue. 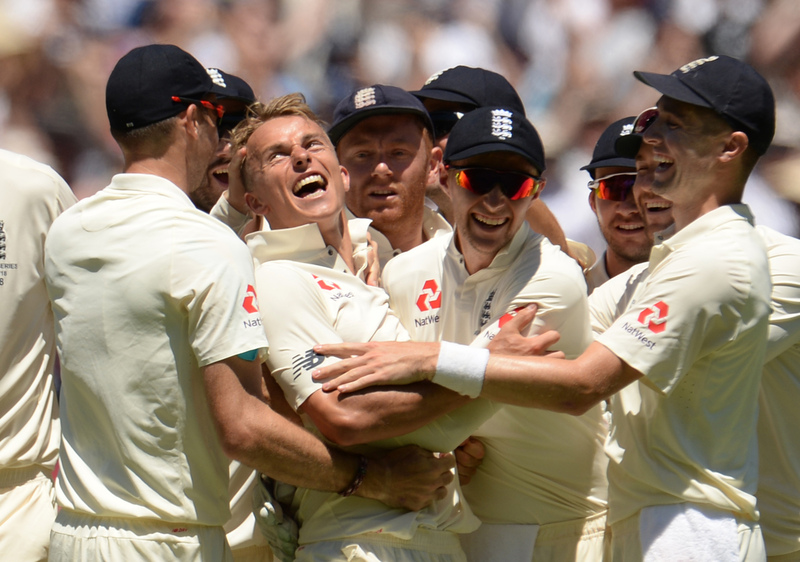 Time to reflect on England's performance in the second Test as you enjoy your final few days soaking up the warm Caribbean sunshine. Sadly your holiday is drawing to a close. Enjoy a final morning on your favourite sun lounger before it's time to pack your bags and complete check-out formalities. Transfer to the airport in plenty of time for your overnight flight to Gatwick. All social events and excursions, cricket transfers, meals other than shown, travel insurance, local room tax in Barbados ($5.50 per night) which is payable on check out, pre-seating charges applied by airlines, items of a personal nature.